Melbourne’s rapidly expanding suburb Williams Landing will soon offer its first apartment building. 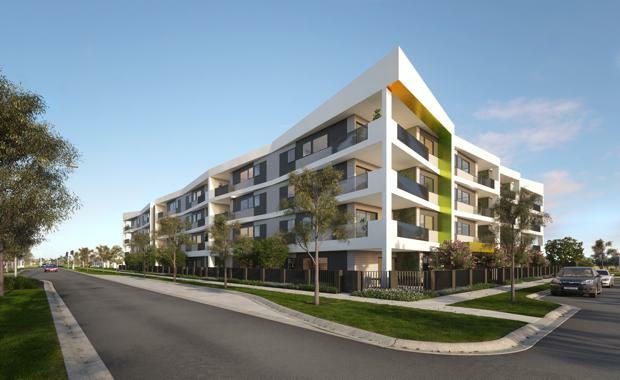 Developed by Cedar Woods Properties, Newton Apartments is the first ever apartment building to be developed in Williams Landing, and one of only a small number of multi- residential buildings to ever be constructed in Melbourne’s middle-ring western suburbs. “Cedar Woods intends to deliver competitively priced apartments into this quickly maturing market that will provide a compelling opportunity for investors and first home owners alike,” Cedar Woods development director Patrick Archer said. With a majority of two-bedroom dwellings, the development also caters to a current market demand for larger apartment sizes to suit family living. “Melbourne’s west already features considerable family homes, but we wanted to ensure the desires of all buyers are being catered to in Williams Landing," Mr Archer said. Located on the former Laverton RAAF aviation base, the design of Newton is inspired by the shapes and shadows of aircraft. The Newton Apartments site is located within walking distance to the Williams Landing Shopping Centre local parks and reserves. Residents of Williams Landing have also benefited from recent upgrades to public transport infrastructure and the development of a new major railway station and bus interchange.